Yamaha FZ V 3.0 prices starts at ₹ 95,029 (Ex-Showroom) in India. 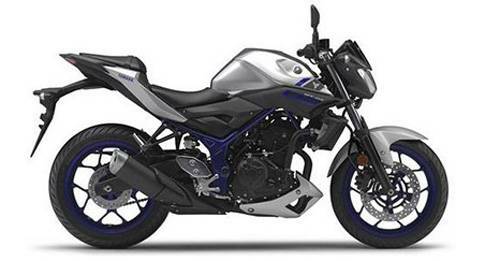 Yamaha FZ V 3.0 is available in 1 variant and 2 colours. The FZ series have always been known performance and racing. The FZ V 3.0 is a more stylish version of the V 2.0 with added features like a fully digital LCD display, LED headlamps and added safety like Single Channel ABS. The FZ S V 3.0 is powered by the same ‘Blue Core’ engine from the standard FZ 2.0. Coming to the size, the FZ V 3.0 is a decently sized motorcycle with its dimensions being 2073mm in length, 770mm in width and 1030mm in height. It has a ground clearance of 160 mm, while the fuel tank has a capacity of 12L. The total kerb weight of the FZ V 3.0 is 132kg. Yamaha FZ V 3.0 is powered by a 149cc single cylinder engine that produces 13bhp of power and 12.8Nm of torque. The power is sent to the rear wheel via a five speed gearbox. The Yamaha FZ V 3.0 sits on diamond frame chassis. It comes with telescopic type suspension at the front and swingarm suspension at the back. The FZ V 3.0 has a disc brake for the front wheel and drum for the rear wheel as standard. The motorcycle comes with single channel ABS as standard. The tyre size of the front wheel of the FZ V 3.0 is 100/80-17 M/C 52P and the rear wheel is 140/60-17 M/C 63P. The front wheel and the rear wheel are 17 inches in diameter. The motorcycle comes with alloy wheels as standard. Yamaha FZ V 3.0 has a claimed mileage figure of around 58Kmpl while it touches a top speed of 115Kmph. The Yamaha FZ V 3.0 is a stylish naked 150cc racing bike from Yamaha that carries the tradition of FZs with performance, style and features. The headlamp of the FZ V 3.0 is an LED headlamp but the tail lamp also misses out on an LED unit. The instrument cluster is fully digital for both the speedometer and the tachometer. The FZ V 3.0 comes with two color options – Metric Black and Racing Blue. The Yamaha FZ V 3.0 price (as of early 2019) is ₹95,029 for the Standard ABS version. For the Yamaha FZ V 3.0 on road price check our Yamaha FZ V 3.0 review at autoX. 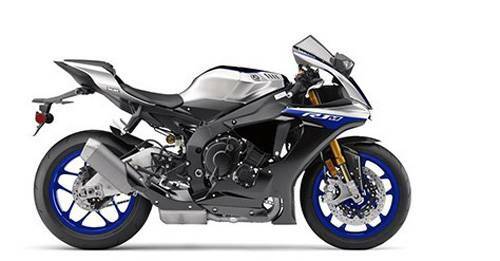 The racing Yamaha motorcycle comes with a standard 2-year warranty.